A news recently came out that the long awaited Samsung Galaxy S5 which is the big brother to the current Galaxy S4 is going to hit the market sooner than we expected. 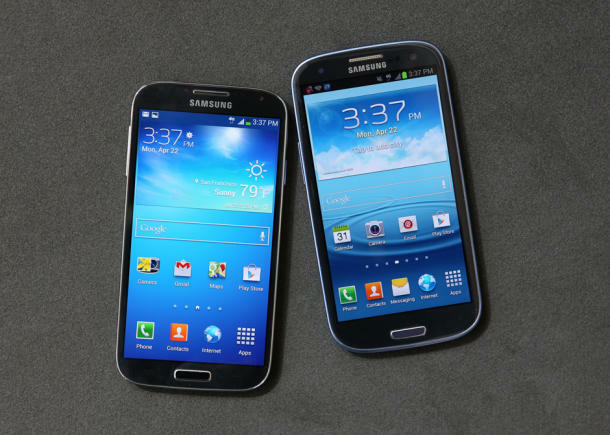 It’s not even been a year and Samsung might release their new flagship smartphone the Galaxy S5. There are no specific detail on what kind of hardware the smartphone will support but it is said that it will come with unicorn-esque specs, a new flexible screen and lots of other features that will make it much better than Galaxy S4. According to a Korean report taken from inside industry source Samsung might start the production of Galaxy S5 starting January along with the new galaxy gear 2 and ship them both in February or March with Android Kitkat 4.4 installed. For Samsung producing smartphonesin such a short time on a huge scale is not even a problem because of the reputation of Koreans as they handled the production of all the Galaxy smartphones very were. We are not sure what Samsung means by unicorn-esque specs and what kind of design they are working on. Till now all the Galaxy smartphones are made of plastic and that to be true has been a downside to them because they are very fragile and don’t survive a huge drop. Samsung might consider putting their new Galaxy S5 in a new metal body. As far as the actual hardware goes on the Galaxy S5, it is said that it will have a better processor (64-bit processor) which is a huge upgrade from the old 32-bit used in the Galaxy S4, 3 Gb of RAM and a flexible screen supporting 560 pixels per inch. Galaxy S4 users won’t get to have an anniversary with their smartphone in case this news was true and Samsung came out with their Galaxy S5 as the news says, but if it did we are not sure that all the Galaxy S4 users will be willing to upgrade their smartphones that early for those who are still using the old S2 or S3 it will be an awesome upgrade. I think Samsung is making smartphones way too fast for the people to cope up. Before we start using and getting acquainted, Samsung is all ready to launch a new product.